Stuck in Tiny Singapore: Off to our Alaska Cruise! I will be flying off soon for my trip of a lifetime. 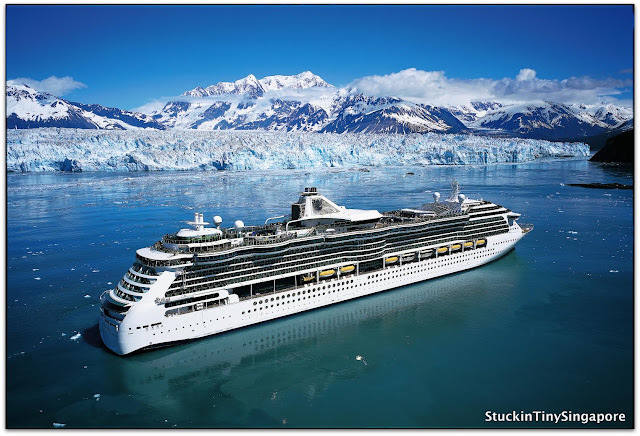 We are flying to the US to join our Alaska Cruise on Princess cruise followed by a road trip exploring the Canadian Rockies!! Please be patient as I will still try to post while on holiday. Just so excited as I get to cross off another 2 places off my bucket list! I will still try to write at least 2 posts a week and will write about my most recent trip when I get back in July. Till then, happy travels. I do hope you enjoyed a safe trip towards Alaska! There are a lot of amazing sights and spots which I hope you didn't miss!